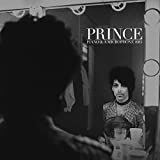 Recorded in 1983 at Prince's Kiowa Trail home studio in Chanhassen, MN & engineered by Don Batts, Piano & A Microphone 1983 is a nine track, 35-minute album features a previously unreleased home studio cassette recording of Prince at his piano. The private rehearsal provides a rare, intimate glimpse into Prince s creative process as he worked through songs which include 17 Days and Purple Rain (neither of which would be released until 1984), a cover of Joni Mitchell's A Case Of You, Strange Relationship (not released until 1987 on his critically acclaimed Sign O' The Times album), and International Lover. The album also includes a rare recording of the 19th Century spiritual Mary Don't You Weep, featured during the end credits of Spike Lee's BlacKkKlansman. For fans of Prince s spontaneous live medleys, tracks 1-7 of the album are presented in that same format as they were originally recorded.